Last Friday we organized the first meetup in Milan, Italy and we’ve got to say that it was amazing and it did beat all our expectations. We had some 100 users visiting us, which was amazing for us as we could get some very honest feedback directly from our users. 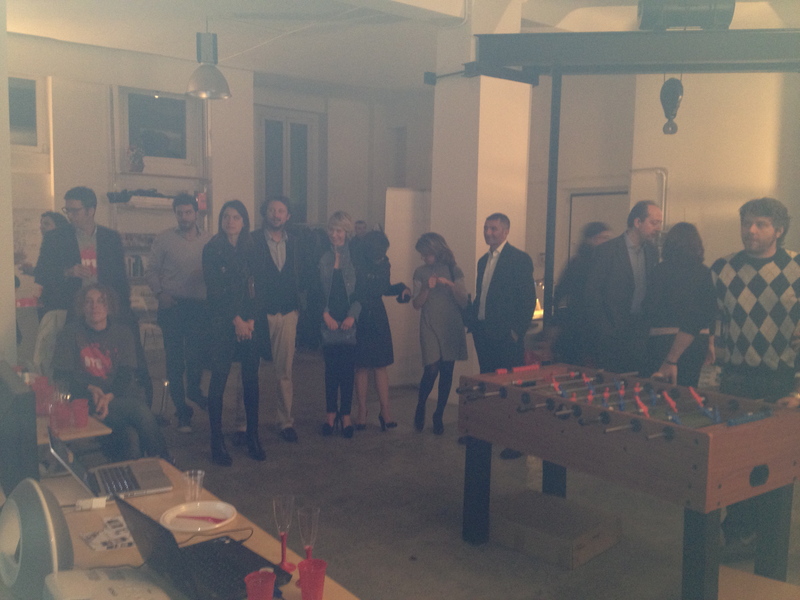 Our guests started to arrive at around 18:30 to the CircleMe office, with some drinks and nibbles waiting for them. We had some fun and chatted about CircleMe amongst other things. Since we had just released our new video, we projected it and it was our little “Cannes festival” 🙂 If you haven’t seen the video yet, check it out! 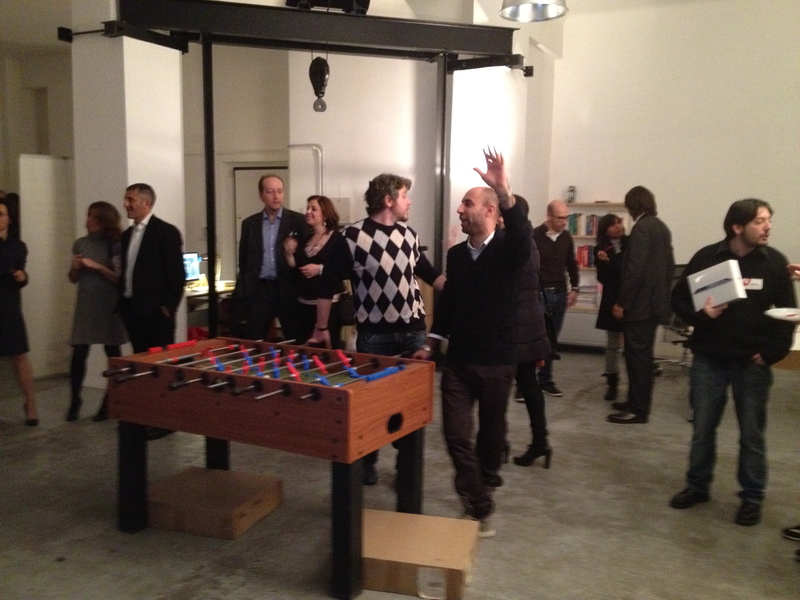 One of the things that caught the attention of our guests was the foosball table we have in our office. Obviously, we had to organize a little foosball table tournament on the night! 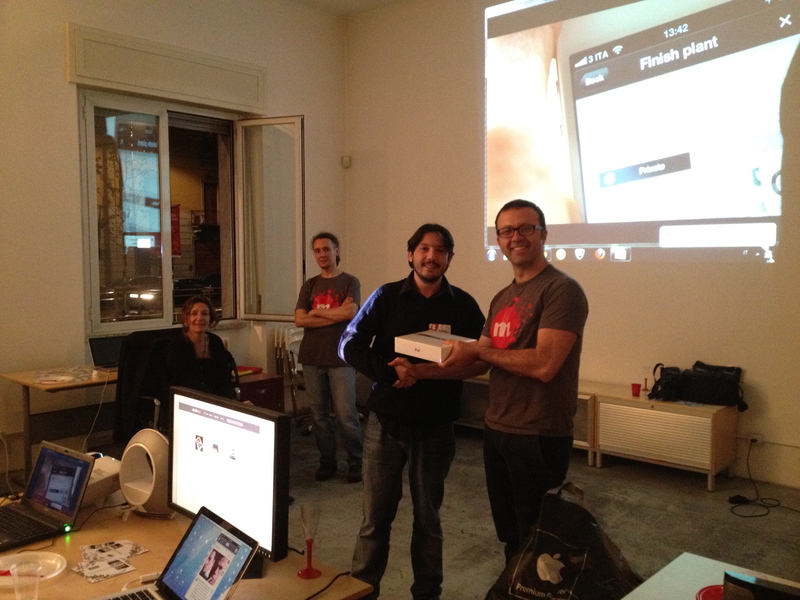 However, that wasn’t the only competition of the night, as we organized some games and there was a new iPad as a prize! Something we would have loved to share was a photo of the cake that the patisserie near our office prepared for us. Unfortunately, it was eaten before we had the chance to take a pic! Many guests stayed until late and at past midnight, it was time for Circlerella our last guests to return home after a fun day where we learned a lot about our guests. 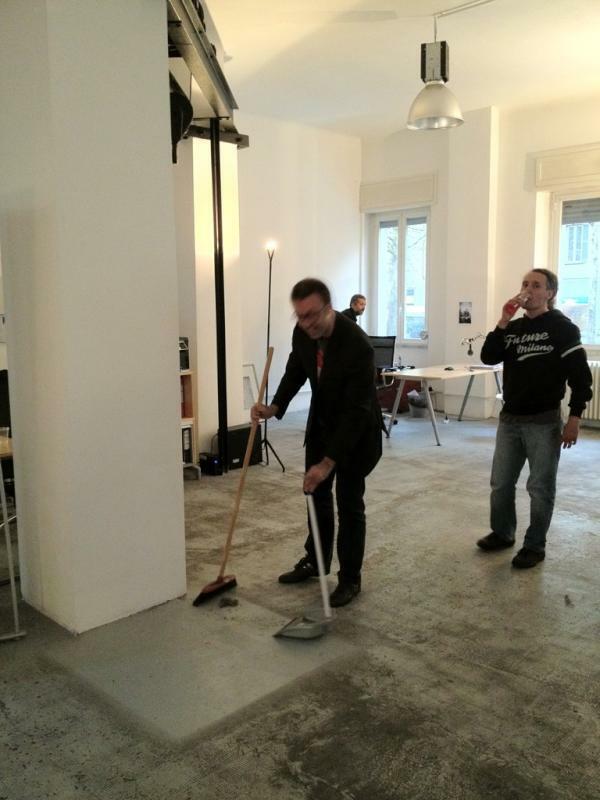 As a fun note, one of our users managed to get a fun pic: It’s our CEO Giuseppe D’Antonio as Party Cleaning Manager. This pic might one day go viral… And you saw it first on our blog 😉 Oh boy! We do hope you’ll join us in future meetups. Stay tuned on our Twitter account or Facebook page!